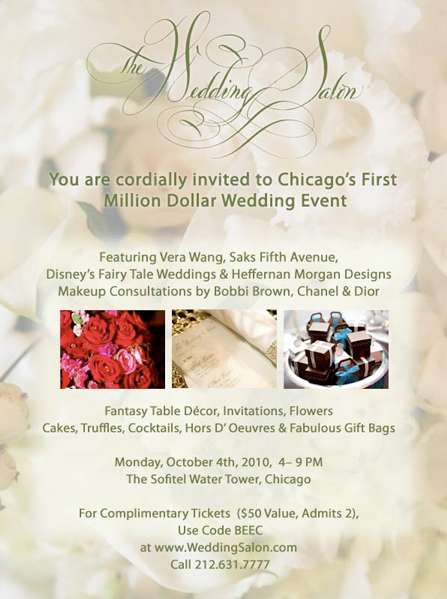 The Wedding Salon will be hosting its first Chicago event. Stop by to visit with some of the top vendors in the industry. 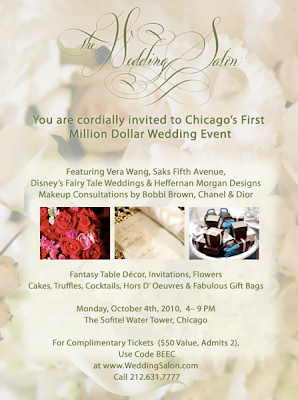 It will be a night filled with bridal luxury, sampling of hors d' oeuvres, cocktails, desserts, and you will get to leave with a great gift bag.